Summer baseball can represent many things to baseball players. For some, it could be necessary time to work back from an injury, while for others it could be to continue to sharpen their skills over the long summer break between semesters in college. 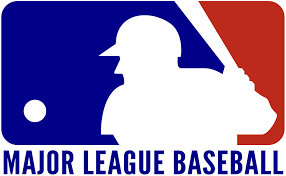 Others still just want to play baseball because they love baseball. However, one reason that isn’t as often pointed to, but can be equally important, is the reunion of teammates. That was the happy byproduct for Powhatan natives and Powhatan High School graduates Andrew Llewellyn and Luke Scherzer this summer playing for the Harrisonburg Turks in the Valley Baseball League. It was the second season for the pair playing for the Turks, though this season came through a happy coincidence for Llewellyn to join the team. Llewellyn had just completed his summer internship when Scherzer texted him. “Luke texted me and said they needed a catcher,” Llewellyn said. It was already in the second half of the season by the time Llewellyn joined the team on June 28. 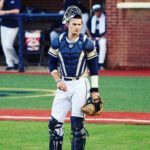 But, unlike last year when there were several catchers on the roster, Llewellyn filled a huge need for the Turks at the time and got a lot of playing time. One of those pitchers was Scherzer, making for a complete Powhatan battery for the Turks for a few games. Scherzer was on the state championship team with the Indians in 2012 and currently plays for Virginia Tech. 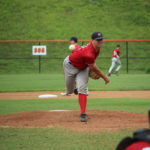 He played in 25 games for the Hokies out of the bullpen in 2014 and another 27 in 2015 for a total of 85.2 innings with a combined 81 strikeouts. He posted an ERA of 4.05 in 2014 and 4.73 in 2015 and had team-high saves of five and four in 2014 and 2015, respectively. According to his bio on the Virginia Tech website, Scherzer was the second true freshman in Hokies history to lead the team in saves, when he had five in 2014. But, Scherzer missed 2016 and 2017 after suffering back-to-back elbow injuries which required Tommy John surgery. Scherzer returned to the mound for Virginia Tech in 2018, appearing in 11 games and starting nine of them. His first game back was against Central Michigan on March 7, ending an almost three year drought from collegiate play. This season, he had a 5.76 ERA in 25 innings, striking out 19 batters with a 1-4 record. His growing comfort with his arm showed during his time with the Turks this summer. Scherzer appeared in nine games, seven of which he started. He pitched 37.2 innings and struck out 32 batters. He allowed 40 hits, 20 runs, 16 of which were earned and walked just five batters. He posted a 3.82 ERA with a 2-3 record. “I thought it was great progress for my situation right now,” he said. Scherzer’s return to the mound in 2018 was the product of a decision making process that he went through following the second Tommy John surgery. Scherzer did say that going through two injuries and watching his teammates play when he couldn’t gave him a new appreciation for the game. Llewellyn and Scherzer had worked together during both of Scherzer’s rehab stints after his Tommy John surgeries, as Llewellyn would catch his bullpen sessions. For Llewellyn, playing with the Turks this season wasn’t just a reunion with Scherzer, but also with some of his teammates from Wingate, such as Alex Rodriguez and Zach Little. Llewellyn hit .192 in 19 games for the Turks this summer. He had a home run and 3 RBIs with 10 hits. Behind the plate, he was perfect, posting four put-outs and a perfect fielding percentage. While Llewellyn took some time off following the end of the Turks season, Scherzer travelled to Massachusetts to play some more baseball almost immediately following the Turks bowing out of the playoffs. Scherzer will play for Virginia Tech in 2019 for his sixth year of eligibility. Llewellyn will head back to Wingate University to play again for the Bulldogs in his senior season.